With Magical-Hair, we insure that shipping from China is cheaper and faster than you think. You don't need to be an expert to start importing from China. Just add the products you want to the shopping cart, hit "check out", and you'll see the shipping rates. Once you complete the payment, we'll ship the goods out to you as soon as possible. 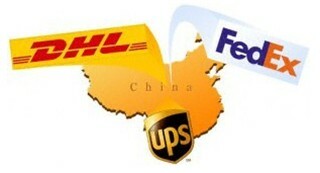 The goods are shipped from China direct to your doorstep in a matter of days. It's as safe and easy as anything! - The time from when you pay to the time when you (or your customer) receives the goods is typically 2-7 days. - If you need help tracking your delivery, or have concerns about a delivery time, we'll be on hand to answer your questions. - The choice of courier varies according to country, but most countries currently have a choice of some or all of: DHL and UPS, other like FedEx and EMS are also available upon request. - For bulk orders we can also arrange to make the goods available at our warehouse for your own forwarder to collect, or we can offer good freight rates for bulk air shipment or sea freight. - Air express courier: after dispatch from the Magical-Hair warehouse in Qingdao, China, the shipment goes to the airport in Hong Kong or in Qingdao, and goes to your nearest major logistics hub. From there the goods are delivered by the courier's local services. - Customs clearance paperwork and procedures are handled by the courier. They may need to contact you in certain cases to confirm details of a shipment. In any cases where additional paperwork is required for customs clearance, Magical-Hair will assist as much as possible. - In certain countries, courier packages are subject to abnormal delays due to Customs inspection. In these cases we also offer a special China Express Air Mail service for no extra charge. Please enquire if you believe this applies to your country. - If there is VAT or any Import Duty to pay on the goods due to your country's import rules, the courier will present you with a bill at the time of delivery. In general you will need to pay any such bill to the courier before you can receive the goods. Any such charges are your responsibility and unfortunately we cannot offer advice or estimates about import fees or other taxes in your country. - All our shipping fees are calculated automatically according to either the actual kg weight of the goods or the goods' dimensions, plus the delivery location. - The Air Waybill (formal shipping document) that accompanies your goods may show a kg weight that is less than the shipping band that you paid for. This happens when the item is light but bulky, so the shipping band is calculated by dimensions, not actual weight. - The prices depend on the different rates of the shipping companies and are subject to change without notice. We're constantly working on lowering the shipping prices for you though! - All orders must be fully paid in advance, including shipping. 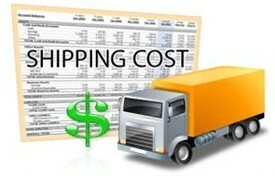 Shipping charges are not refundable except in cases of wrong delivery. - If a delivery is confirmed lost, stolen, or damaged before receipt, we will work with the courier directly to obtain information, and arrange a refund or re-delivery at no further expense to you. - If you experience any problem with a product bought from Magical-Hair, contact us first and we will do our best to advise you. - Any returns must be discussed with Magical-Hair Customer Service in advance, and authorized so they are sent with the correct paperwork. - In the event of any returned goods where you are requesting a repair / replacement / refund under the warranty, your shipping costs returning the products to the Magical-Hair warehouse in China are payable by you, and cannot be compensated by Magical-Hair.